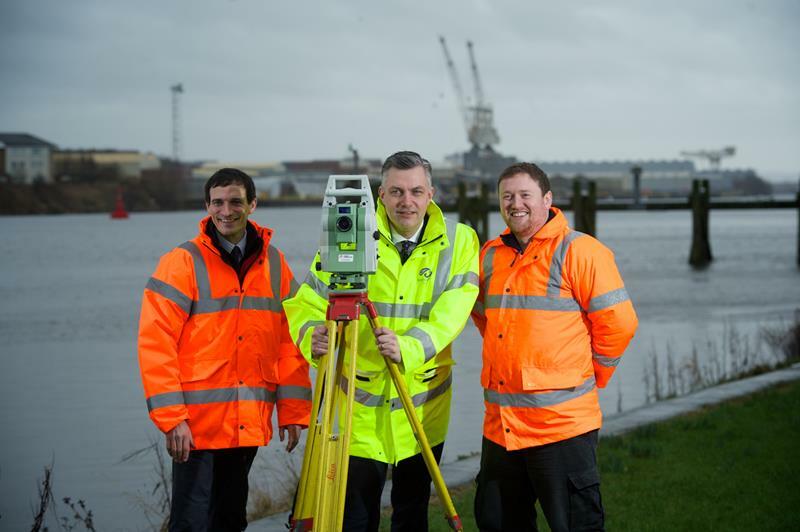 Councillor Mark Macmillan, Leader of Renfrewshire Council, today (Friday 5 February) joined surveyors assessing the land at Renfrew’s Riverside for a new, £78million opening bridge to span the Clyde between Renfrew and Yoker. The 200m bridge is the main element in the Clyde Waterfront and Renfrew Riverside project; part of the Glasgow and Clyde Valley City Deal’s £274 million infrastructure investment in Renfrewshire. The project includes new roads to improve traffic flow in Renfrew. A new route west of Kings Inch Road, will increase accessibility to Meadowside and the Glasgow Airport. The investment will give local people new travel options and easy access to employment opportunities throughout the City Deal Region. It will also create potential for business growth and new residential developments. The new infrastructure will connect Renfrew firmly to the wider transport network and help to improve traffic flows within and around the town centre. Dominated by its recently renovated Town Hall, Renfrew is Scotland’s first Town Centre Simplified Planning Zone which will give the town the flexibility to respond energetically to the opportunities that the new bridge and roads will bring. Councillor Macmillan said, “The Renfrew crossing will be an exciting addition to the Clyde – and its only opening road bridge. 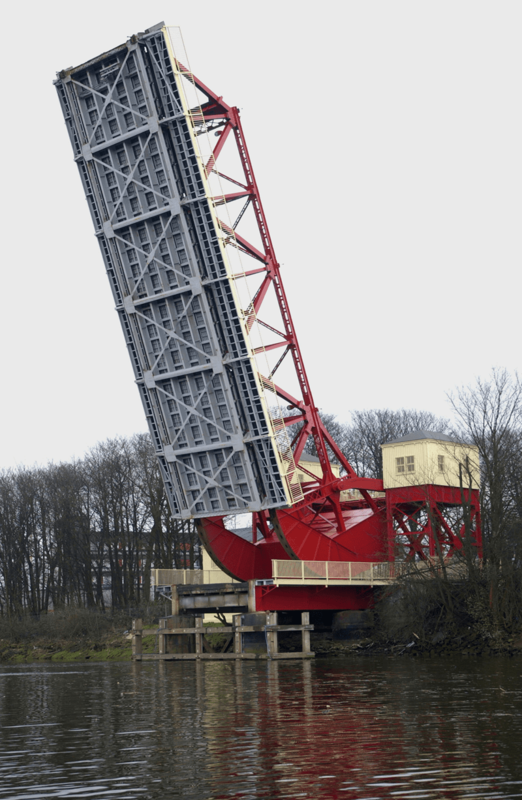 (The upstream pedestrian Bells and Millennium Bridges open to allow ships to use the deeper navigation channels). The City Deal will generate benefits for the communities involved with its projects. In addition to the long term economic opportunities that the new infrastructure will support, suppliers to City Deal projects will be required to engage with community projects, offer educational support for pupils, and create employment and training opportunities. Renfrew Riverside is one of three City Deal investments in Renfrewshire. The £51m Glasgow Airport Investment Area project will join up the Inchinnan, Airport and Westway business parks to create a world class business location with tremendous air, sea and land connections. The City Deal’s flagship project; a new rail link between Glasgow Central Station and the airport, with a stop at Paisley Gilmour Street, and will support the airport’s continuing success and Renfrewshire’s economic growth. All three City Deal Projects will create connections and conditions to promote business expansion, new jobs and positive futures for our communities.